When it comes to food and drink, the Barlow in Sebastopol has had its ups and downs from its very inception. While Zazu remained a staple, other restaurants came and went. Now Fern Bar, a new initiative by some of Sebastopol's leading names, is trying its luck at the Barlow. 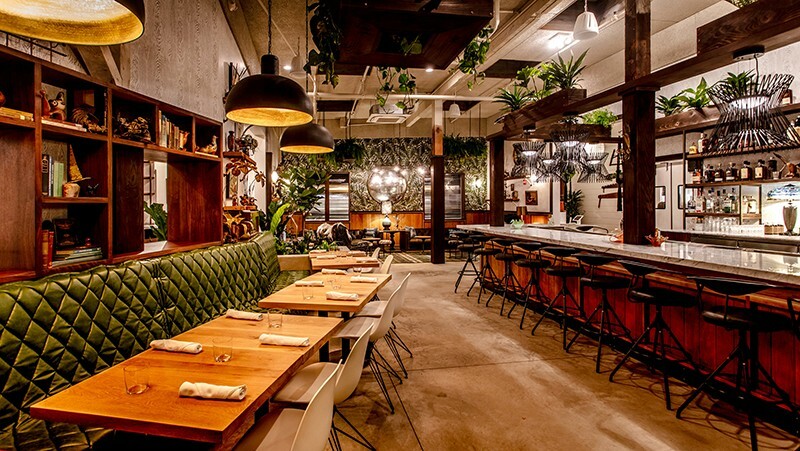 Fern Bar is the brainchild of Lowell Sheldon and Natalie Goble, the duo behind Lowell's and Handline; Sam Levy, former bar manager at St. Helena's Meadowood; Joe Zobel, former chef at Lowell's; and Gia Baiocchi, owner of the Barlow's Nectary. On the menu, alongside staple Sonoma bounty salads and familiar appetizers like chicken liver mousse, Zobel includes dishes with an Asian and Mexican flair, like sopaipillas, traditional Mexican pastry stuffed with rabbit and cotija cheese, or chive pancakes with black garlic vinegar. In the drinks section, similar influences present themselves in ingredients like Thai pepper shrub and tamarind. Fern Bar, 6780 Depot St., Ste. 120. fernbar.com.